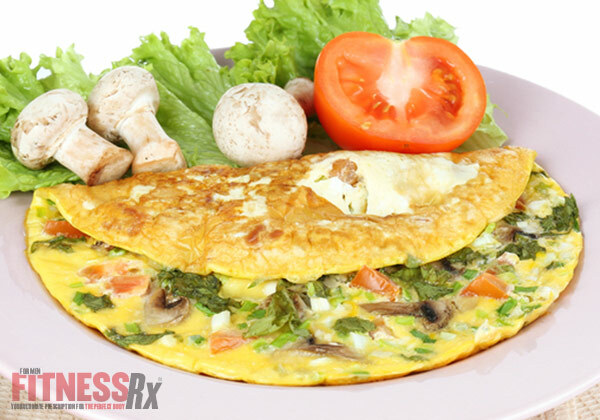 FitnessRX for Men > Nutrition > Tips > Three Square Meals: Best for Weight Loss! Three Square Meals: Best for Weight Loss! Traditionally, farmers were early-to-bed and early-to-rise types. Upon awakening, they did a few early chores while waiting for breakfast, fueled by a pot of coffee. After breakfast- and only a fool would skip breakfast- laboring outdoors continued for a solid eight to 10 hours. The only interruption was for lunch and the occasional water break. The day ended by washing up and sitting down to a relatively large supper. Of course, most farmers are not lean, sleek, Abercrombie & Fitch models. Prior to the industrialization of farming, there were few obese farmers. In today’s service-based economy, people have move away from activity-intense lifestyles. Also, schedules are less structured, making it easy to skip meals. Instead, people tend to grab convenience foods, driven by hunger, boredom, or advertising. Even those who are conscientious of their weight or actively trying to lose fat have deviated from the traditional eating pattern. Weight-loss gurus often recommend “grazing” or more frequent feeding, fueled in part by the recognition that high insulin levels increase fat storage. Preventing super-high spikes of insulin by eating smaller, more frequent meals allows fat cells to release stored fat and reduces the amount of fat stored. The body uses mainly fats for energy, rather than burning up a glut of sugar. Despite the success enjoyed by many following this high-frequency meal plan, others ate more food more frequently and didn’t lose weight. Certainly, if calorie control is an issue, more frequent eating adds to the damage of overeating. Also, poor food choices are another form of sabotage. It is relatively easy to find a meal that reflects breakfast, lunch, or supper. However, there are few practical choices for a second breakfast or evening snack. Many people have failed to lose weight by substituting a higher-quality food (fresh fruit, eggs, etc.) with a convenient and portable substitute consisting of high-glycemic carbohydrates (e.g., bagels, low-protein energy bars, corn syrup-based juice drinks) or fast foods. The reliance upon meal-replacement beverages may exacerbate poor control, as they do not provide the same fullness or hunger-suppressive effect of whole food meals. Surely eating more frequent, smaller meals is superior to three large meals… or will science disprove another theory that has gained popularity? Also, does it matter what is in the meal? If the meal frequency theory is wrong, then what about higher protein diets? Heather Leidy and colleagues authored a study involving a number of overweight or obese men who were placed on a fairly restricted hypo-caloric diet (750 calorie deficit daily). The men were divided into “normal protein consumption” (14 percent of calories from protein), and “high protein consumption” (25 percent of calories from protein). After following the men for several weeks, they alternated three-day periods, eating either six or three meals per day. During this time of three-day cycles, the men were surveyed every waking hour of the third day on measures of satiety, appetite, and thoughts of food. There was no significant difference between those who ate three meals versus six meals per day in measures of hunger or preoccupation with food. However, the high protein diet was best for controlling appetite by providing a greater feeling of fullness and less time spent thinking of food. The average person doesn’t consume protein with each meal, which makes them hungry. Most power athletes, particularly bodybuilders, consume more than the “high-protein” group from this study. Knowing that, is there any value in further evaluating meal frequency? The high-protein group demonstrated greater evening and late-night fullness eating the larger meals during the three-meals-per-day period. The take-home message of that eating three larger meals containing 25 percent protein will fight hunger and promote weight control better than eating many smaller meals containing less protein. Most weight loss diets fail because people lack calorie control- they can’t resist overeating. The three meal per day program presents fewer opportunities for lost control. This appears to be particularly true for the person suffering from late-night binging or evening snacking. For the person focusing on fat loss specifically, rather than weight loss generically, who is able to muster the willpower to avoid sneaking in an extra helping or some forbidden food, the six meals per day program may be the solution, as it will moderate insulin levels to a greater degree than three meals daily. It is vital to include at a minimum, 25 percent of caloric intake from protein, which is crucial to appetite management. Undoubtedly, there is a threshold for protein’s effect on appetite. 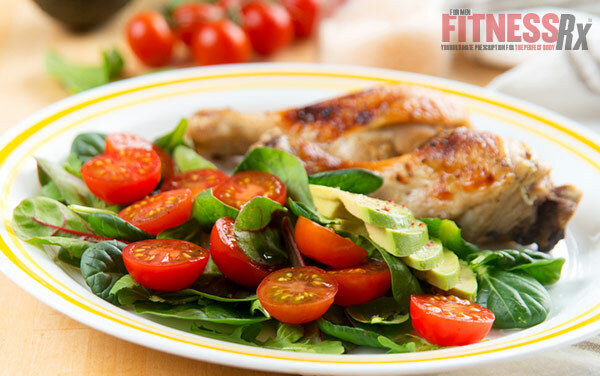 Dr. Sears’s 40/30/30 (carbs, protein, and fat) is a very suitable diet plan for the most and the closest to a one-size-fits-all eating strategy. Drummond SE, Crombie NE, et al. Evidence that eating frequency is inversely related to body weight status in male, but not female, non-obese adults reporting valid dietary intakes. Int J Obes Relat Metab Disord, 1998 Feb; 22(2):105-12. Leidy HJ, Apolzan JW, et al. Food form and portion size affect postprandial appetite sensations and hormonal responses in healthy, nonobese, older adults. Obesity, 2010 Feb;18(2):293-9. Leidy HJ, Armstrong CL, et al. The influence of higher protein intake and greater eating frequency on appetite control in overweight and obese men. Obesity, 2010 Sep;18(9):1725-32. Leidy HJ, Racki EM. The addition of a protein-rich breakfast and its effects on acute appetite control and food intake in ‘breakfast-skipping’ adolescents. Int J Obes, 2010 Jul;34(7):1125-33. Leidy HJ, Tang M, et al. The Effects of Consuming Frequent, Higher Protein Meals on Appetite and Satiety During Weight Loss in Overweight/Obese Men. Obesity, 2010 Sep 16. [Epub ahead of print]. Louis-Sylvestre J, Lluch A, et al. Highlighting the positive impact of increasing feeding frequency on metabolism and weight management. Forum Nutr, 2003;56:126-8.